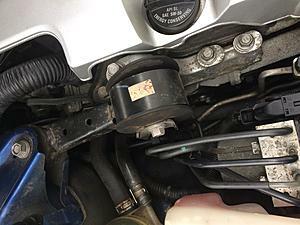 How do you remove Dog Bone engine mount on a V6 that has a bolt that will hit ABS line if try to remove it. Jack engine up but where is best spot? Unbolt dog bone bolts, then unbolt the mount on engine. Here is the problem, The only bolt that can be unbolted is the bolt on the strut, the other done bone (DB) bolt fouls with the ABS brake line? That is the problem....The DB bolt is too long and goes into the engine so it can't be removed, not like earlier model Camry s.
You can't access the 3-4 bolts that hold the dog bone mounting bracket to the engine. 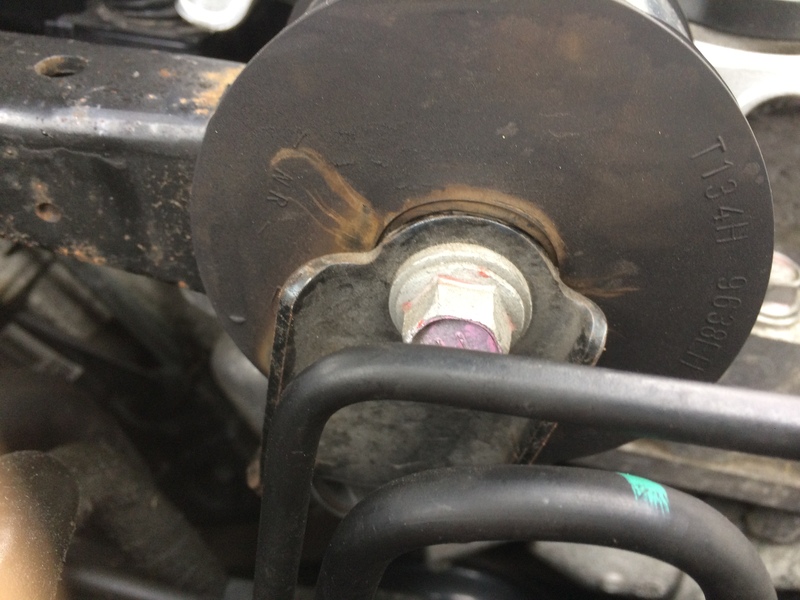 I would remove or unbolt as far as possible every bolt retaining the dog bog and the bracket mounted to the engine. Then wiggle the horizontal bolt up and down to clear the tube. You could jack up the engine slightly if needing more clearance. Can an exhaust leak casue the car to bog upon acceleration?